From farm to fork, there is no doubting that technology plays an integral role in the way supermarket chains interact with their suppliers, partners and customers. Since the first secure online purchase 20 years ago, retailers have come a long way in their use of technology to provide an efficient service and meet the ever increasing demands and expectations of their customers. Today's shopper expects to be able to use a number of mediums to interact with a retailer and make a purchase decision – be it browsing in-store or online, making a "click and collect" order to pick up at their convenience, or having their weekly shop delivered to their home. All of this needs to happen seamlessly, with any breaks in the chain or inability to interact with a retailer subject to immediate criticism via social media channels or emails. It is therefore imperative that any new technology application or upgrade is set up for success with seamless integration and operation from the start. For, despite the opportunities which can be realised through technology, it can also give supermarkets nowhere to hide if it all goes wrong. The arrival of Amazon's grocery business in Europe is a case in point and could have a huge impact on retailers, with many looking to focus on fulfilling online orders rather than putting more resources into the high street. Black Friday and Cyber Monday have become commonplace in the UK retail market, putting added pressure on infrastructures to deliver a slick multi-channel experience, even during these times of high demand and peaks in online shopping. This potential shift in model could have disastrous results for those players who do not have the technology infrastructure or management processes in place to deal with the change. Indeed, supermarket giant Morrisons recently admitted that it had been held back by its "antiquated" IT infrastructure and Tesco announced plans in early 2014 to migrate to a single global network to enable it to roll out new technologies and services more quickly and effectively in the future. Omni-channel strategies of today have certainly put pressures on existing systems and this is only set to continue with new players like Amazon trying to steal a share of an online shopping market predicted to be worth £17 billion by 2019, according to food and grocery research company IGD. In this fast-paced scenario, the legacy IT systems of yesterday are just not up to the demands of today or set up to adapt to those of tomorrow. It is imperative that CIOs realise the bigger picture and introduce change in the right way, or they will risk relying on overly complex systems and processes which could result in a slow rate of change. Many are relying on middleware as an alternative to replacing legacy systems in a bid to adapt quickly and keep up with budget and time constraints. However, by taking this hand-to-mouth approach, cracks can appear, as the business objective of speed to market is often prioritised to the detriment of the IT department's ability to undertake the appropriate due diligence and testing. Despite peaks and troughs in technology change within the sector, change should be seen as constant, with each project undertaken with the same due diligence as another, for a smooth transition and outcome. In order to update legacy systems and mitigate the risks, a stringent quality regime needs to be at the heart of the process, with senior management working closely with the IT team to instil confidence in the change that needs to take place to deliver a glitch-free solution. When it comes to the future of a legacy system, there are typically two extremes: it either has a limited lifetime or no change is required; or it forms a key part of the strategy. In this first scenario, the legacy system is either expected to be retired reasonably soon due to outdated functionality or being replaced by a new system, or the business can survive without changing the legacy system for the foreseeable future. In the second case, the legacy system needs to be replaced because, if it forms a key part of the future strategy, obsolescence is a genuine risk. 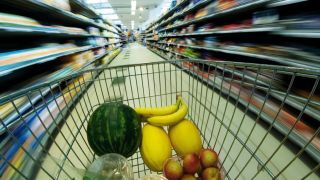 In either case, when change happens, supermarkets will need to undertake it with appropriate due diligence or risk damaging supplier and customer relationships. Working with an outsourced technology partner can give an extra layer of specialist expertise to ensure change happens smoothly and seamlessly. Business leaders will have a role to play in ensuring any change has minimal disruption for the business by developing a set of business-driven development tests at the outset, that describe the functionality of the present legacy system and expectations for the new system now and in the future. This will make sure an external provider is well placed to develop a replacement solution and ensure key milestones are met and will pass the test when everything goes live, leaving suppliers and customers confident in the relationships they have built and the transactions they are making.